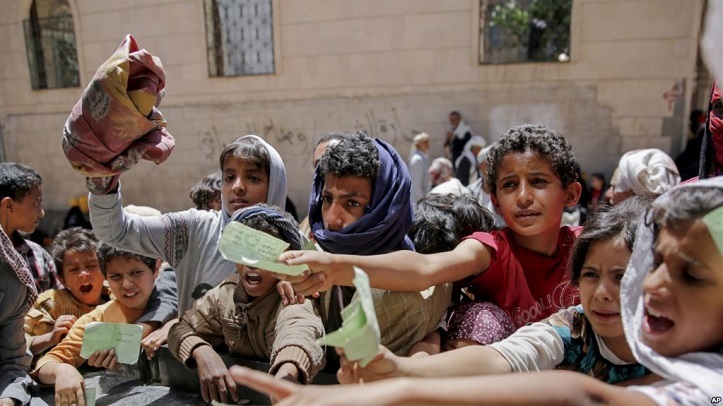 "As many as 20 million Yemenis are food insecure in the world's worst humanitarian crisis," a joint statement by the UN's Food and Agriculture Organization (FAO), the children's fund UNICEF and the World Food Programme (WFP) said. A WFP spokesman said the organisation aims to scale up its support programme in Yemen from the current level of 7-8 million people to reach 10 million by the end of December and 12 million by end January. "This scale-up is an ambitious undertaking for WFP, which will demand massive resources both logistical and financial," said Herve Verhoosel. "WFP has enough food stocks in country for now but will need $152 million a month to sustain its scale-up into next year." The armed conflict was at the top of a list of the "key drivers of food insecurity", which has been further exacerbated by a protracted economic crisis in the impoverished Gulf Peninsula country. "A large proportion of the population, even in more stable areas, cannot access basic food commodities because food prices have jumped by 150 percent compared to pre-crisis levels," the statement said.